I am working with a first time buyer in Chicago who is seeing a wide range in the amount of real estate taxes on condominiums. She asked me to explain how taxes are determined and why the real estate taxes vary so much between condos, sometimes even within the same building. 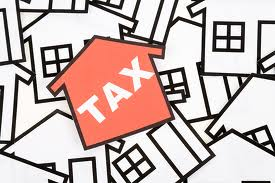 Real estate taxes are based on the property valuation as determined by the Cook County Assessor’s Office. Properties are reassessed every three years. For owner occupied properites, there is a discount – usually several hundred dollars or more for more expensive properties. Seniors also get an additional discount and low income seniors can apply for the senior freeze. So that is why taxes can vary on units within a building, depending upon whether the unit is owner occupied or renter occupied. Once a property that had been tenant occupied then becomes owner occupied, the new owner can apply for the change to an owner occupied status and get an adjustment. The tax bills are issued twice a year by the Cook County Treasurer’s Office, generally in March and August/September.